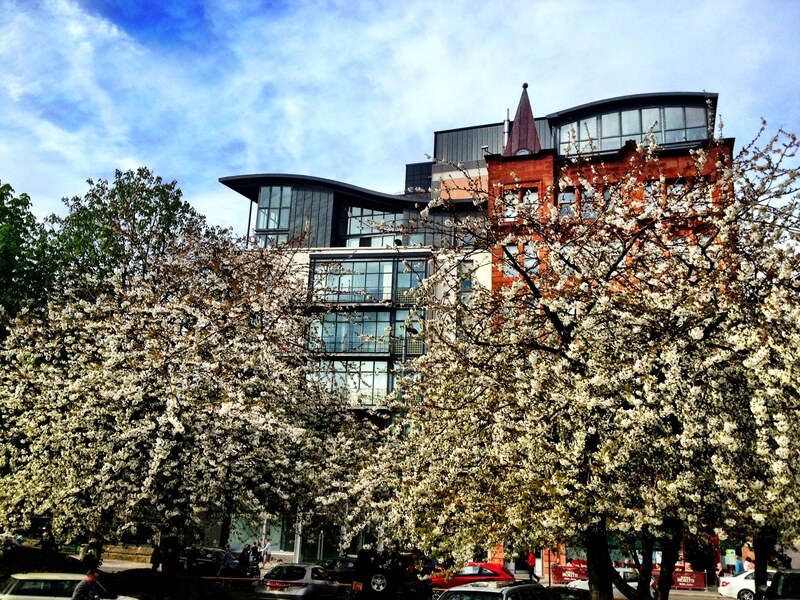 It’s no secret that we love Glasgow. A lot. It’s an eclectic treasure trove of discovery – one that never ceases to amaze and surprise. 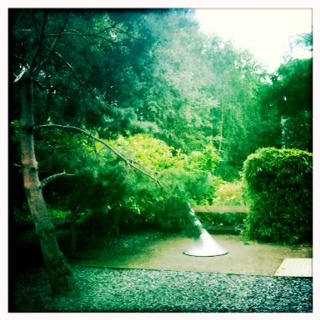 But sometimes even we are at a loss for words to truly describe our appreciation for this ‘dear green place’. 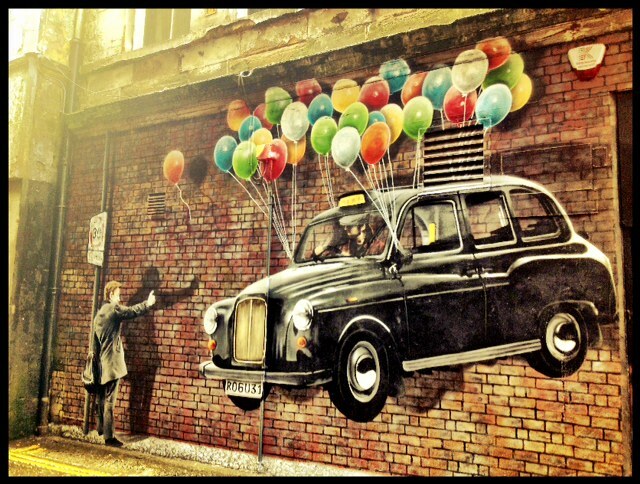 So this week we’ll let some of Glasgow’s impressive street art do the talking. If a picture’s worth a thousand words – these would definitely include ones like inspiring, captivating, clever and even energising. Next time you’re out, go on play a game of I spy. 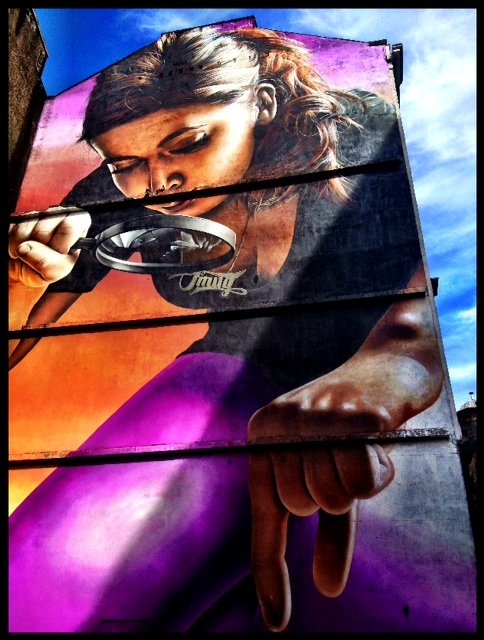 Keep your eyes open for the impressive street art transforming our city into a colourful collage of vibrant wonder. I’m running late and so haven’t managed to book a walking tour of the Glasgow Necropolis. Fortunately my nine-year old’s running commentary as we walk through the sprawling grounds keeps me in-the-know. A previous school trip has apparently turned him into an expert. We meander along the path up the hill enjoying the sights and checking out the gravestones. Our birds-eye view of the Cathedral from the second highest hill in Glasgow means the landscape is fantastic. 50 000 people buried here, though not all have stones. 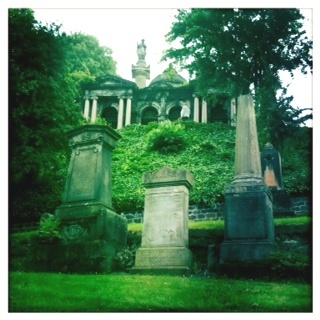 Its many graves tell the story of generations of families in Glasgow spanning over 100 years. 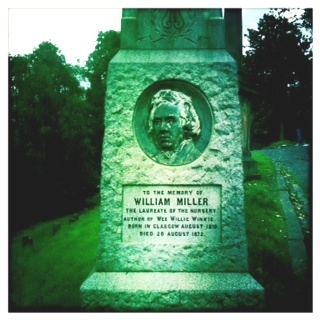 Along our explorations, we discover the grave of William Miller who wrote the nursery rhyme Wee Willie Winkie – which we dutifully sing as we climb further up the hill. Arriving on the top of the hill I realise how spectacular gravestones can be; intricate carvings, statues, mausoleums and inscriptions detail the history of each person. The Necropolis allows you to explore Glasgow’s rich history, chart its achievements through the celebration of its past people – all the while surrounded by an impressive 360 degree view of the city. As I look out at the city far away from the hustle and bustle, I can’t help but have a sense of peace in this quiet natural space. It’s worth a visit and worth the climb. And if you’re not fortunate enough to have your own personal tour guide, book one of their tours – but do it early as they fill up quickly.